In all forms democratization dialogue is absolutely crucial. Partnership is impossible without a genuine dialogue but it is difficult to establish a genuine partnership if one party wants to impose or dominate on others on decision making. The Eritrean opposition for democratic change still suffers by the attitude of fear, mistrust and dominance. The last ten years, I have observed it is the attitude of negation, mistrust and fear of each other disabled us not establish a genuine partnership. A genuine partnership can be built on common concerns, visions, goals and values as well as respect, honesty, transparency and mutual accountability. We must disengage from the attitude and behaviour of dominance and accompany each other to safe our people from the disaster. Dialogue takes time and a sustainable willingness to listen, to learn and review your own thinking. The Eritrean Forces for democratic change must first develop the culture of dialogue before they convene national conference. In this article, I will try to discuss on the concept of dialogue, modalities and the risks. But ahead of this I would like to clarify the concept of dialogue and its kinds. The concept of dialogue has taken on different meanings in the Eritrean context. Eritreans mix dialogue with conferences. Dialogue stands for the methodology of interaction between the stakeholders. It is the instrument for formulating the parameters, which together should make up the joint understanding and partnership between the parties on policy, programme or project. Dialogue cannot occur between one who imposes his/her own ideas upon others who do not want this imposition( Suzuki). “Dialogue is not to inform views abut exchange views which need mutuality and sharing( Ringström).” The purpose of national dialogue is not necessarily to reach a common view but try to understand the different participants’ perspectives. 1. The Eritrean national dialogues were not based on the values of the Eritrean people but on personalities. There are no academic studies about the Eritrean diversity and its conflicts except political propaganda teachings of the cadre-schools. 2. Dialogue should be owned by the stakeholders. It should focus and involve all stakeholders. However, what I saw and experienced was that dialogue was used an instrument to unite the Eritrean political stakeholders without preparation among them. ( Example the Addis conferences and the ongoing national congress) we have seen such conferences without preparation and negotiations among the stakeholders results in new conflicts. 3. The Eritrean dialogue is not to bring together people with different views but people of the same views. Here I will concentrate on the ownership and organization. The coming congress for democratic change is poorly organized and is not owned by the stakeholders. Looking from the concept of dialogue, a congress requires all parties to be prepared. There is also asymmetric relationships between the participants. The Eritrean National Commission for democratic change misinterpret , the term, “ Indpendence” by cutting relationship with the political organizations who are the members of the conference. Due to this there was an asymmetric relationship after the national conference held in 2010. The EDA who organized the first national conference was excluded. The Commission declared itself as the representative of the Eritrean people. Some member organizations of the EDA and non – EDA exploited this asymmetric relation and are making alliances to defeat each other or impose their will on others. The purpose of the congress is to bring all stakeholders together. A congress without common understanding and equal preparation is doomed to fail. A congress with power games where the stronger party will impose its will on the weaker cannot build a genuine partnership. This imbalance may drive into a defensive position, and rather than stimulating for congress. A congress or conference must first have legitimacy by its owners. It is the owners who decide together the congress agenda and outcomes. Is the commission appointed during at the conference in 2010 have the proposals for the coming congress its agenda and its prospects on the outcomes? Are the representatives or participants informed or got these proposals? I have never heard from the participants that they have these information. I therefore see a congress conducted without preparation and information cannot succeed. It is better to delay it until you prepare and own it. Have the opposition common understanding on what is national unity and what modality do need we to achieve national unity? National Unity is not something empty it is the unification of common interests and powers of decision making. Did all the forces for democratic change agree on the methods of the national unity or simply preaching it without practicing? National Charter is a document of agreements. Do we abide by the agreements we adopted? Have we clear vision what do we want after the fall of the totalitarian dictatorship in Eritrea? Most of the Eritrean political organizations either in the EDA or outside have no vision or what they see the future Eritrea will be governed? Have the opposition common strategy to defeat the totalitarian regime in Eritrea? The Eritrean National Commission for Democratic Change has drafted four papers for discussion but these papers were not discussed academically and pedagogically but amateurishly. Even there is disagreement on these papers inside the commission. How can a commission given the assignment for preparing the congress call congress a this time without being itself unprepared is ridiculous. We have seen the risks of the past national conference held in Addis 2010 and it is we who bear the consequences of these risk preferences. I see the country who assists such conference must first listen to the owners and prefer the best choice that can come benefitting the Eritrean people. Call it a congress or national conference it must first be owned by the stakeholders but not imposed by the financiers. The National Congress for democratic change must be elongated for one year and a national dialogue with the others like EPDP-1 and other civil society organizations must be conducted. I see no changes by the coming congress unless it gets its legitimacy by the Eritrean people. The first condition for convening national conference or congress must have legitimacy from the people. 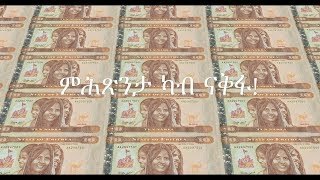 ኣብ ምህናጽ ደሞክራሲያዊ ሕብረተሰብ ኤርትራ! ሓርነትን ፍትሕን፡ ራህዋን ሰላምን ንውጹዕ ህዝቢ ኤርትራ! 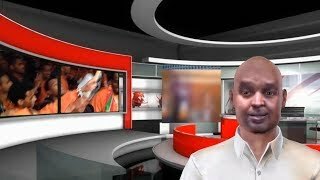 -ጉዳይ መንእሰያት ሃገርን ዝተሰከሙዎ ኣደራዕን፣ ጸጋ ሓርነትን ህይወት ሰላምን ህያው ንምግባር ዝጽበዮም መጻኢ ብድሆታት ወ.ዘ.ተ. ስለምንታይ ጽንዓትን ሓድነትን ቃልሲ ንናጽነት ናብ ቃልሲ ምሕላው ሓርነት ዘይሰገረ? 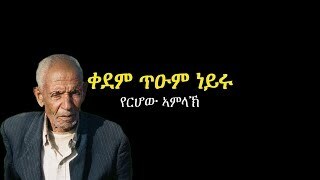 ስለምንታይ ኣብ መንጽር ሓደ ንጹር ጸላኢ ዝተጐዛዘየ ኣገባብ ቃልሲ? 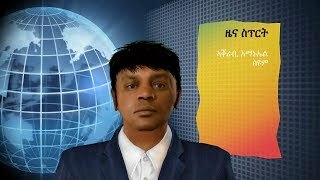 ስለምንታይ ምርዓም ኣብ ጸቢብ ፍልልያት?